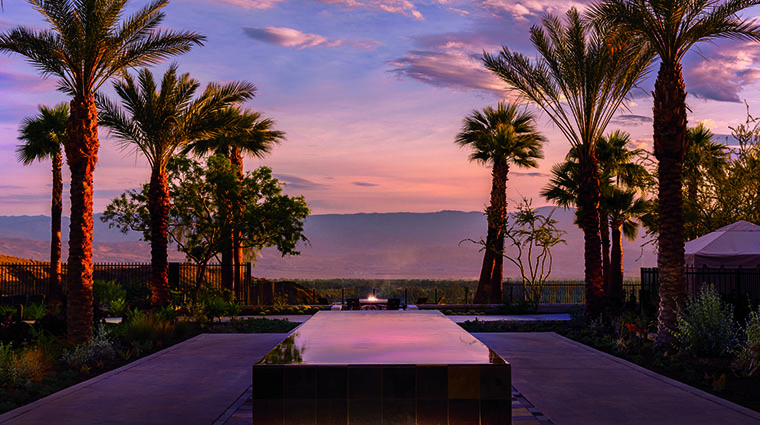 When The Ritz-Carlton, Rancho Mirage made her debut back in 1988 as only the seventh hotel in the formidable chain, she was rightfully lauded as the most stunning resort in the Coachella Valley. Think Madonna and Cher back in their glory days. By 2001, however, she’d lost her way and was sold, rebranded and eventually shuttered. 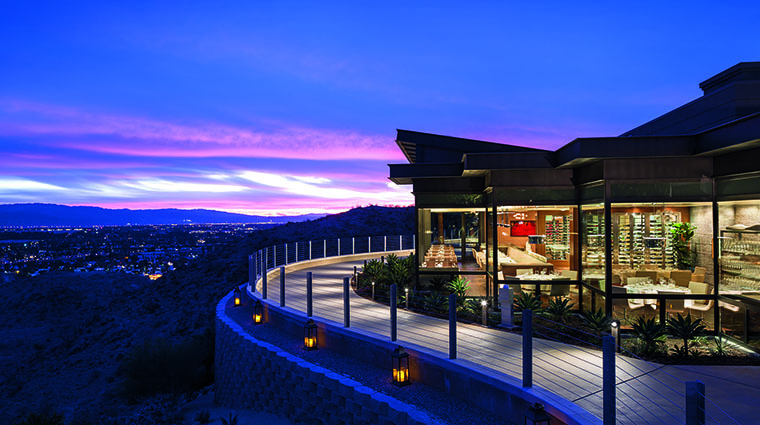 Seven dark years went by before the ol’ gal got a brand-new management team that pumped upward of $500 million in to this gorgeous 24-acre property that sits on a 650-foot bluff with stunning views of the Coachella Valley. She made her long-delayed grand reopening in May 2014, and the girl is back — and more brilliant than ever. Everyone seems to have a glass of Veuve Clicquot in hand, even at the 25,000-square-foot luxury spa (tip: order a bento lunch box before your treatment and then lounge around the spa pool in a luxe bathrobe while noshing on a kale salad and grilled chicken breast). 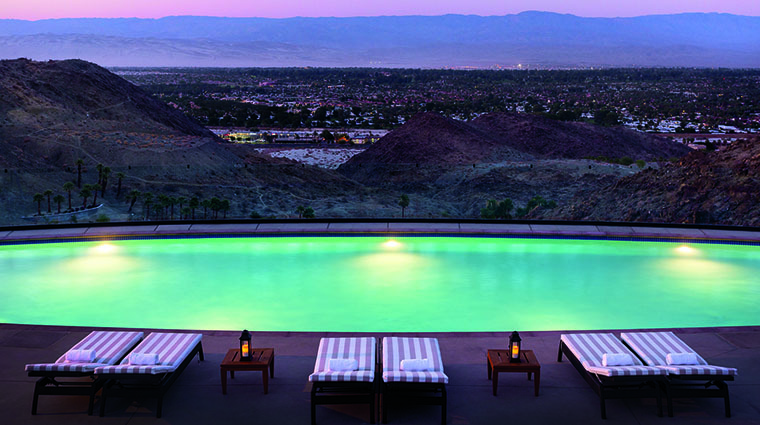 The main activity at The Ritz-Carlton, Rancho Mirage is just hanging — mostly at one of the three pools. The adult pool, with its dreamy infinity edge looking out over the Coachella Valley, is very popular so it’s best to stake out a spot early. If you want someplace remote and romantic, check out the “Chill Zone” pool. It’s basically a small dip pool for adults with a couple of chairs planted in the water — perfect for cocktails and watching the sunset. Some Ritz-Carlton properties may have a reputation as being a bit stodgy, but not here. 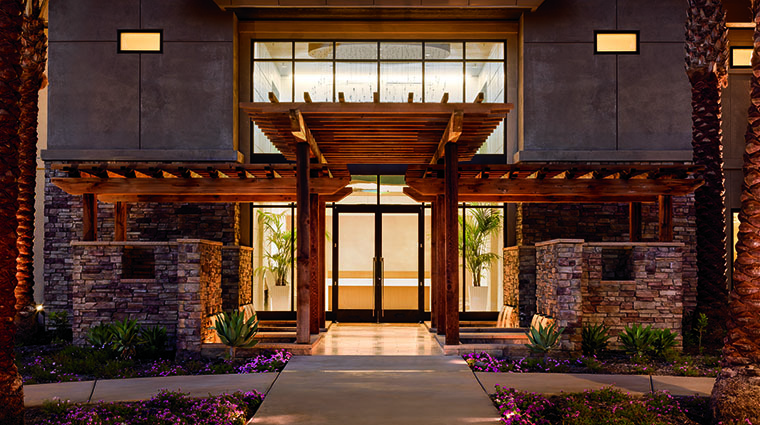 Everything from the glass beakers of candy (M&Ms, Reese’s, Skittles) sitting at the concierge desk to the tail-thumping Labradoodle hotel dog, Maddie, says this is a place for the young (and the young at heart). The vibe here is St. Tropez-meets-Palm Springs: Everything revolves around the sun, outdoor living and beautiful bodies, many wearing colorful Trina Turk resort wear (available in the spa gift shop). Wondering where to take your Instagram selfie? Pose in front of the reflecting pool with the entire Coachella Valley in the background. 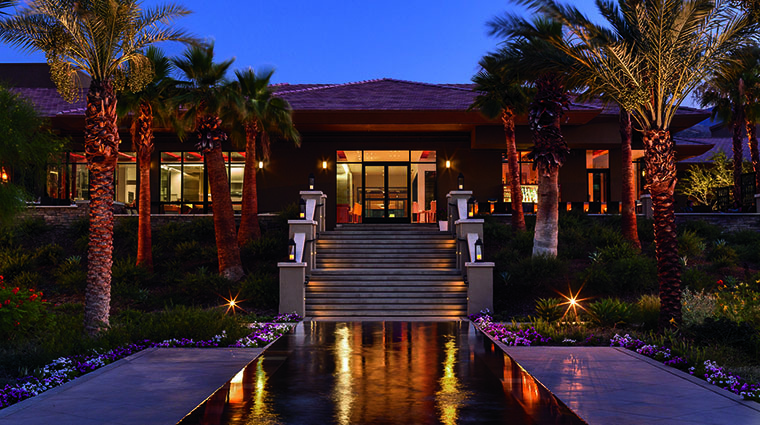 Certain unnamed rock stars like to stay at this Palm Springs hotel when they play the Coachella Valley Music and Arts Festival. The family pool is also busy but has higher turnover so it doesn’t take long to get a prime perch. The desert plant atrium in the lobby that looks like a museum diorama but is actually just a framed desert landscape with barrel and fencepost cacti as well as agaves and other succulents (ask for a free desert plant guide at the concierge desk). Rooms feature stone flooring, deep soaking tubs, walk-in showers, and luxurious Frette Italian cotton bed linens. 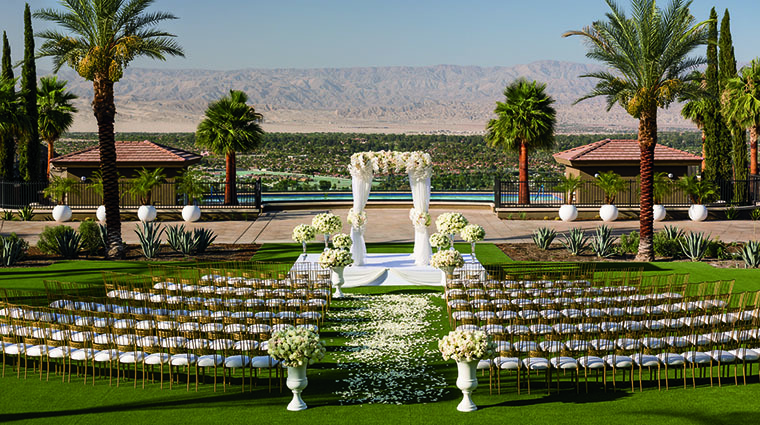 The decor is regal and understated, with neutral hues, natural fabrics and occasional pops of Palm Spring colors like fuschia and kelly green. 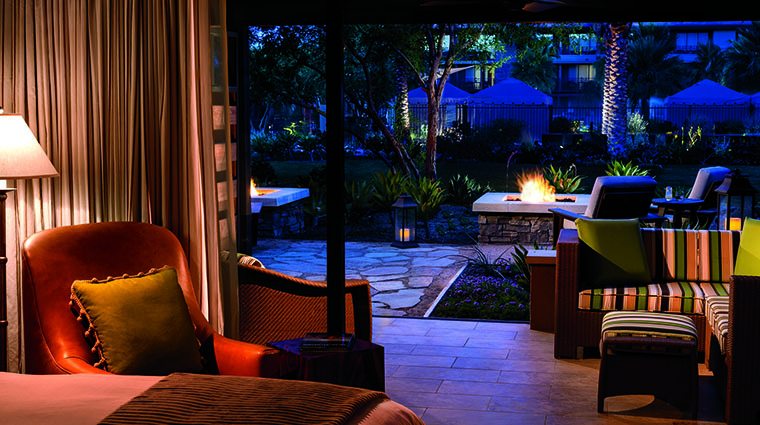 See if you can score one of the ground-level Fire Pit rooms. 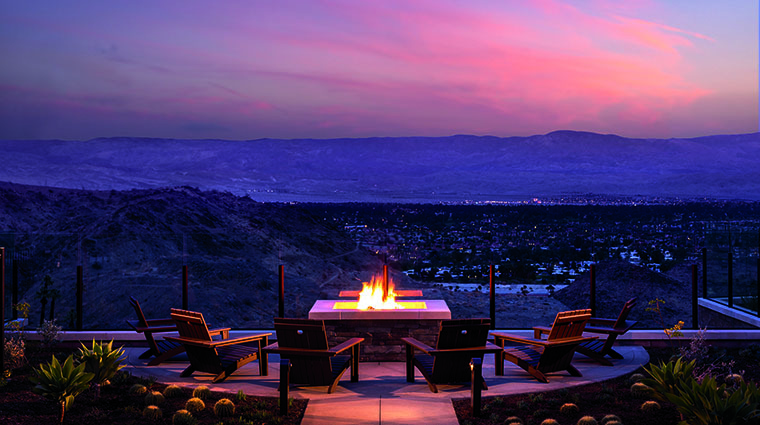 Private fire pits outside each room are lit each night and their glowing ambiance summons you to sit in a cushy chair and contemplate the universe while staring at the phenomenal desert sky and moon-lit San Jacinto Mountains. You’ll find three very different restaurants at the luxury hotel: Air Pool Bar, State Fare Bar and Kitchen, and The Edge. The Edge, a steakhouse that turns out prime cuts and excellent classic cokctails, is destination dining — it’s the place to go for a special occasion. 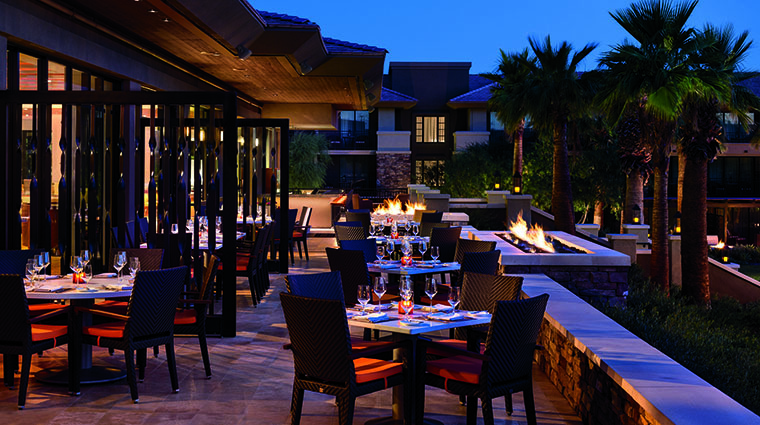 But executive chef Bruno Lopez’s unforgettable dry-aged steaks will make you a repeat diner. Air Pool Bar serves lunch from late morning through the afternoon. Order up alfresco-friendly dishes like fresh sushi, fish tacos and chicken nachos. Festive drinks are served all day long. State Fare Bar and Kitchen is a spot that celebrates California cuisine with seasonal dishes and local wines. 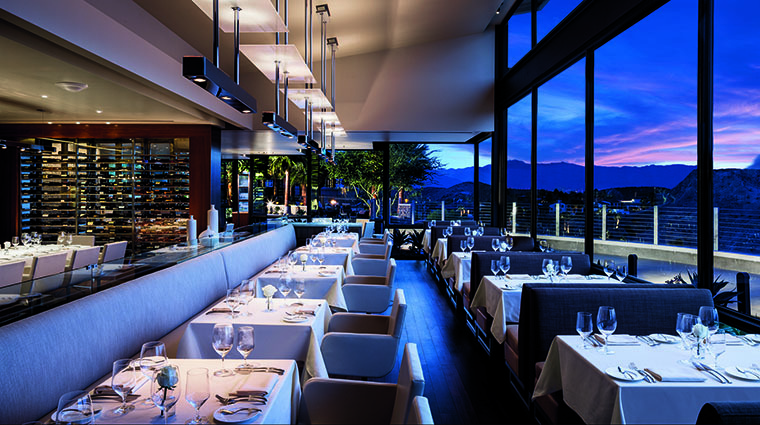 Try and score a table on the terrace with stellar views overlooking Palm Springs.